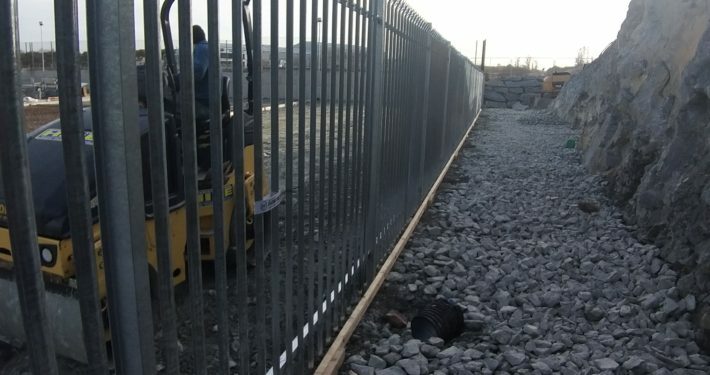 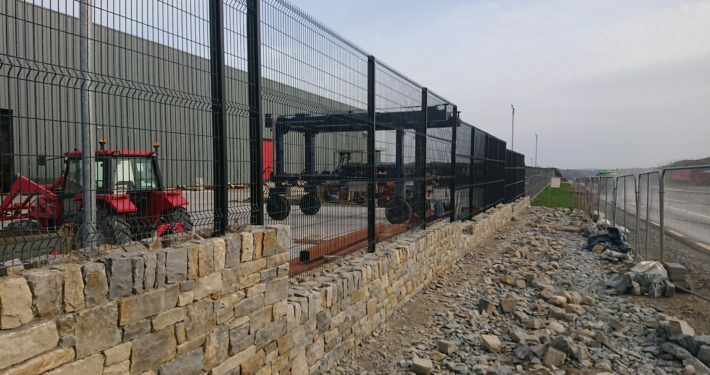 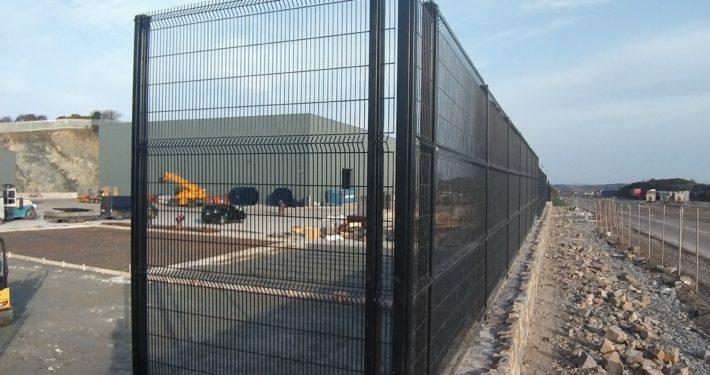 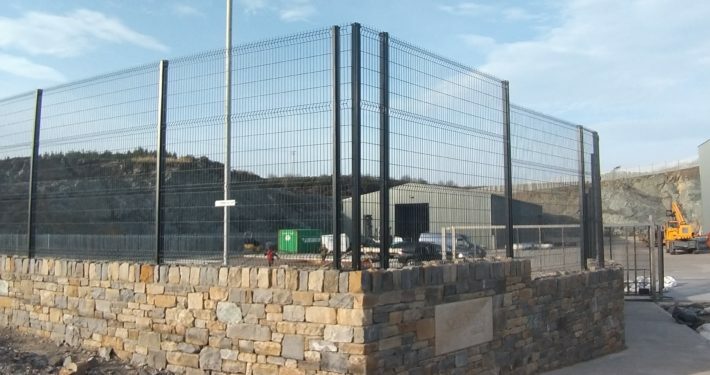 Project: Supply and Fit of 2.4m high black weld mesh and 2.4m high galvanised palisade for security. 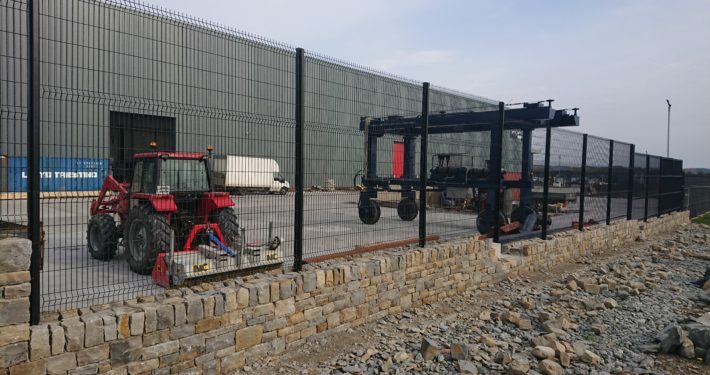 Client: Manufacturer of fish pumps and hydraulic systems for fishing and offshore vessels in Co Donegal. 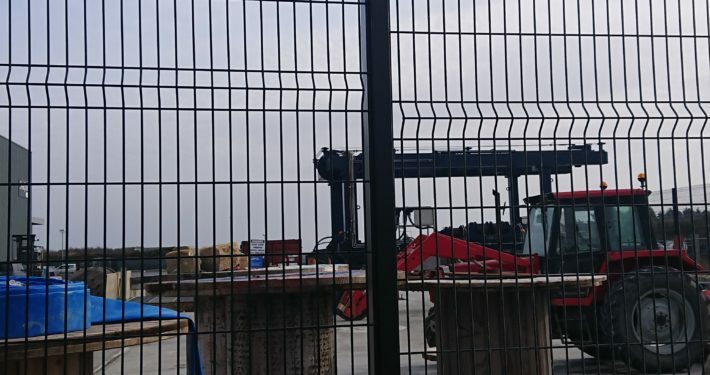 An on site meeting took place to discuss the options available to the client and also to explore the requirements and budget. 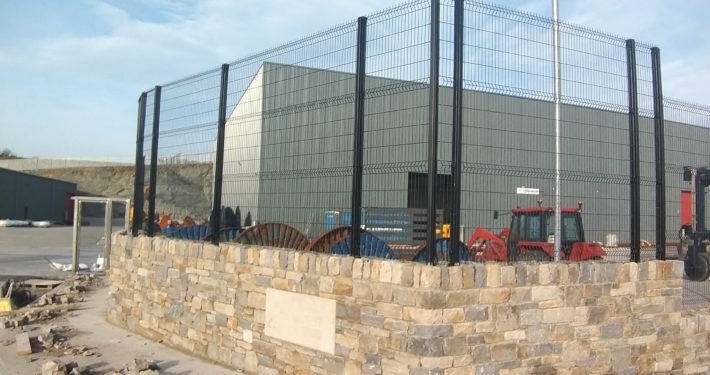 The materials and details were agreed upon and the project was completed on time and within the specified budget. 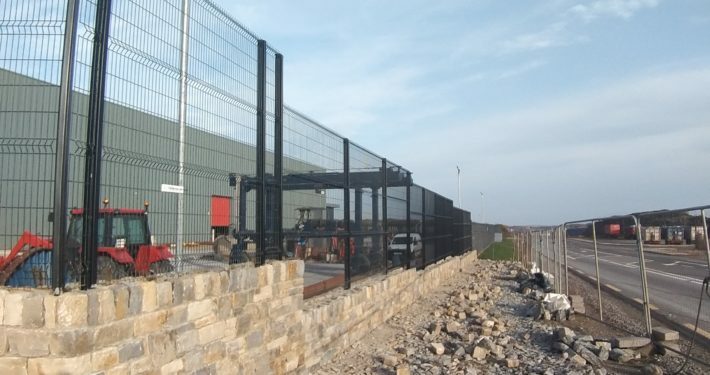 The Ultimate weld mesh used on this project is highly secure as there are no visible fixings on the front face.